Plini is a guitarist and composer who manages to carve his own niche in the increasingly saturated instrumental guitar-centric progressive rock/metal genre – no mean feat. 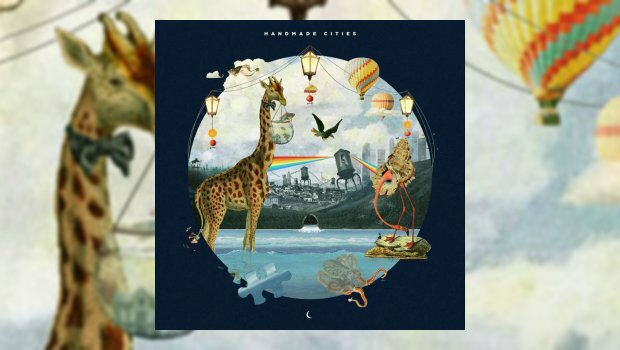 His first full-length album, Handmade Cities, is a thoroughly impressive consummation of the promise shown by his shorter releases over the last few years. The album starts with a repeated, solo, clean guitar riff on Electric Sunrise that is extremely exciting and an effective metaphor for the rest of the album – the building energy seems to be contained within the jarring turnaround of this 13/8 pattern, and the rest of the album does not disappoint. The music flows organically, ideas flourish and beget new ideas, and all of this with the same sense of energy and ability to turn on a dime that the first few seconds promise. One can’t talk about instrumental progressive metal without talking about Animals as Leaders, especially since Plini toured with Tosin Abasi and company in the fall. Handmade Cities doesn’t have any of the truly mind-blowing technicality or overt harmonic and rhythmic experimentation of Animals as Leaders; not that it should, that is what makes Animals as Leaders spectacular and still unique in the scene. However, Plini is similar to Animals as Leaders in that he avoids both the happy-go-lucky, tame note-note-note-note-note goofy major key 100bpm soft shredding musical dead space and the overblown djent cliche wasteland that are both major pitfalls of so many of the bands playing this type of music. What he has can only be described as compositional tautness and effective variety – he realizes that electric guitars are not the only things that can make noise in a progressive metal band and that guitars can make many different types of sounds and play many different roles. While the melodic solos are never far away, he has some inspired moments of variety, using background processed guitar sounds, electronics, and keyboards (it sounds like) to great effect, most noticeably on the interlude-like piece Here We Are, Again. But every piece puts the guitar through several tone transformations and we hear it in every mode imaginable, from clean harmonic accompaniment to blistering solo, from intricate rhythm work to ambient background sounds and everything in between. There are also some great moments when the bass and drums get to shine on their own, besides hitting all the weird offbeats under Plini’s solos. 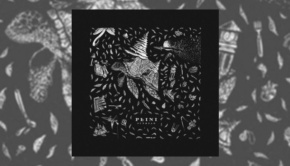 This is Plini’s project, but Simon Grove and Troy Wright certainly pull their weight. Check out the dirty groove that opens Inhale, the filthy one at the start of Pastures, and the absolutely obscene one through the metric modulation at 6:47 that closes the same song. And, of course, Plini’s playing is phenomenal. Fast sweeps and agile fretboard work are of course all over the album (most beautifully on display among the many layers of the ending of Cascade), but listen to how well he uses articulation to his advantage on the first melody statement of Every Piece Matters – subtly expressive palm muting, gentle color changes to dynamics and effects, and a really alive rhythmic feel are all part of this and, again, are too often lacking in the work of that perennial critical punching bag, the musician who sacrifices expression for technicality. Plini pulls off the Tosin and Vai-like magic trick of sacrificing neither. It helps that the melody in question, like so many on the album, is really good, catchy without being insipid, beautiful and consonant without being boring. And it must be Plini singing along with the melody when it returns at 2:55 – an unexpected and surprisingly effective touch in an otherwise instrumental album. All in all, Handmade Cities does feel like a collection of cities springing from Plini’s hands (which were responsible for not just the guitar playing but “everything” that is not drums or bass, including the keyboards, mixing, and mastering). Each song has all the detail, drama, coherence and excitement of a well-planned city – as a last example, listen to the little ear candy moments, like the deep synth sound at early in the title track, and the delicious gradual fade out to the end of Electric Sunrise. Plini has been frighteningly prolific in the last three years, releasing four EPs and this full-length – let’s hope there’s more music on the way soon.